A gun owner's foremost task is keeping themselves and everyone around them safe by following firearm safety protocols. If you're a new gun owner or are looking to purchase your first firearm, start by reading and following these common gun safety tips. No matter how safely you plan to store your gun, keeping it free of ammunition when not in use is vital. 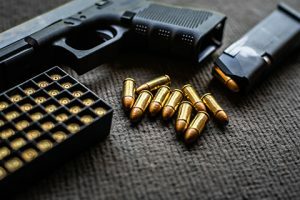 Unloading your weapon as soon as you're finished with it — well before you get into your car or step into your home — protects both yourself and those around you from accidental fire or dangerous malfunctions. Store your firearms and ammunition in a secure place separate from each other. You are responsible for keeping guns and bullets away from children and any unauthorized teens and adults. Just keep your ammunition close enough to load quickly in the event of a break-in. Whether your gun is full or unloaded, pointing it in a safe direction at all times is imperative. Keep it aimed at what you intend to shoot, and never point it at a person or any object you wouldn't put a bullet into. Basically, always treat your gun as if it's loaded and ready to fire. Aiming a muzzle in a proper location at all times will virtually eliminate the risk of firearm accidents, so this practice is vital in any situation. You will enjoy your experience. After going to many gun stores this place will be your last. Your gun's safety is an incredibly useful tool for keeping you and your loved ones safe. But it isn't a foolproof solution. Like any device, a gun's safety can fail — and you may also accidentally turn the safety off when you think you're turning it on. Never act carelessly with your firearm or dry-fire it just because you've engaged the safety feature. As mentioned previously, always assume your weapon can fire at any moment, and treat it accordingly. Each firearm is unique in more ways than just its looks. Disassembly and reassembly, acceptable types of ammunition, proper cleaning techniques and correct operation all differ based on numerous factors. Because of this, be sure you fully understand your particular firearm before you handle or fire it. Read the owner's manual when you first purchase your gun and commit these specifications to memory. Also, avoid using any ammunition or making any modifications your weapon wasn't explicitly built to handle. Proper care and maintenance can keep a firearm running smoothly — and looking beautiful — for generations. But most importantly, a clean gun provides optimal and safe performance when shooting. Several types of malfunctions are associated with failure to keep a clean firearm. These malfunctions are more than inconvenient — they're often dangerous to you and those around you. While you should clean your gun on your own after each use, you should also have it inspected regularly by a firearms professional. Check your user's manual for more information about how often you should have your gun serviced to prevent unsafe wear. Buy your next firearm or learn more about gun safety from Pennsylvania's premier gun store professionals. Contact us at 814-734-2750 to learn more, or stop by our store today.